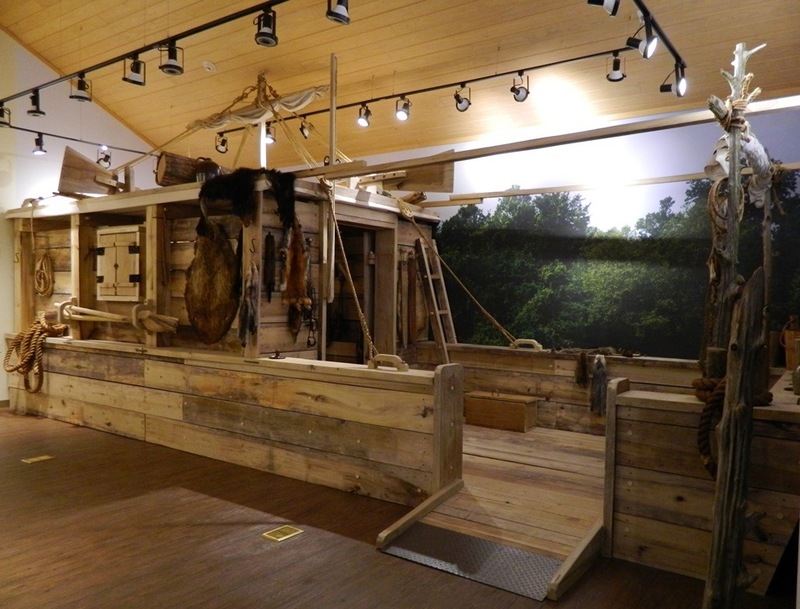 Join Park Interpreter Geoffrey of Davidsonville Historic State Park and the staff of the Randolph County Heritage Museum for a talk about the artifacts found at Davidsonville. See two hundred year old pieces of history up close; learn how they were unearthed and what they help tell us about a town that predated reliable photography. Ed Bethune will launch the World War II story with a talk and book signing at the Randolph County Heritage Museum on Friday, July 22nd at 1:00 p.m. The former 2nd District Congressman was born in Pocahontas, graduated from Pocahontas High School, practiced law and was deputy prosecuting attorney in Randolph County before becoming a special agent of the FBI. 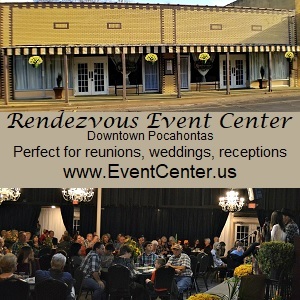 While living in Pocahontas, his wife, Lana, taught English at Pocahontas High School. 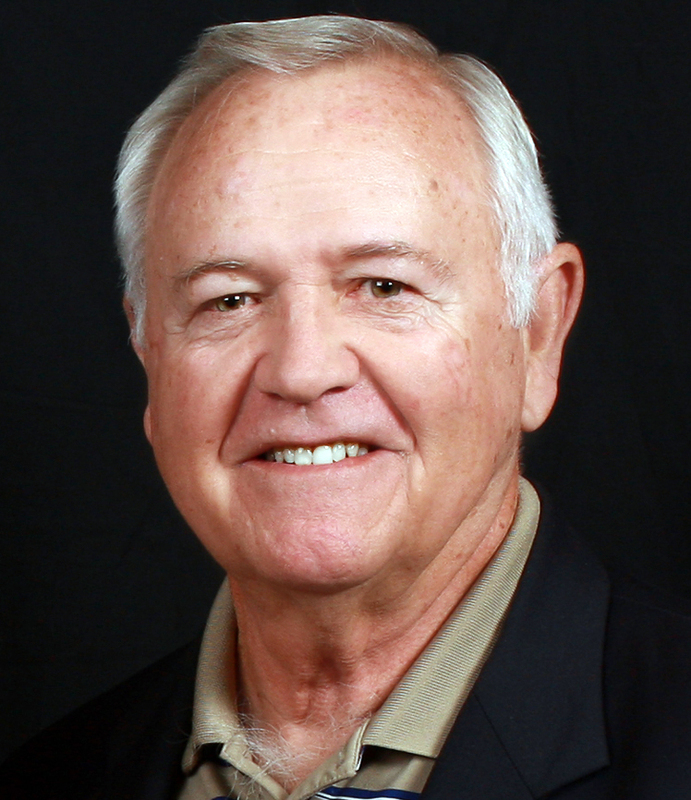 He is the author of 3 books which are available at the museum: Jackhammered, his memoir which includes the story of their rescue at sea in 1990; Gay Panic in the Ozarks, a legal thriller that has a photo of the Randolph County Courthouse on the cover. 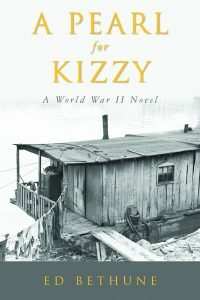 His new novel, A Pearl for Kizzy, has a fictional setting on the Black River. As a long time member and supporter of the museum, Bethune will donate all proceeds from book sales to the Heritage Museum. 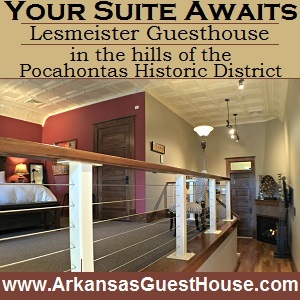 Kizzy, a spirited child, lives with her family on a one-room ramshackle houseboat in Big Pearl, Arkansas. They fish, dig for mussels, look for pearls, and sell the shells to the button factory. It is a crude life made harder by the Great Depression, natural disasters, and prejudice. At the onset of World War II, Kizzy befriends a young boy—a refugee from Nazi Germany—and a cultured young woman who encourages her to read and learn from Jane Austen’s books. Kizzy’s struggle mimics today’s culture war. Daring, but realistic, the novel examines love, pride, compassion, courage, hope, morality, and duty—the things that inform and shape our destiny. 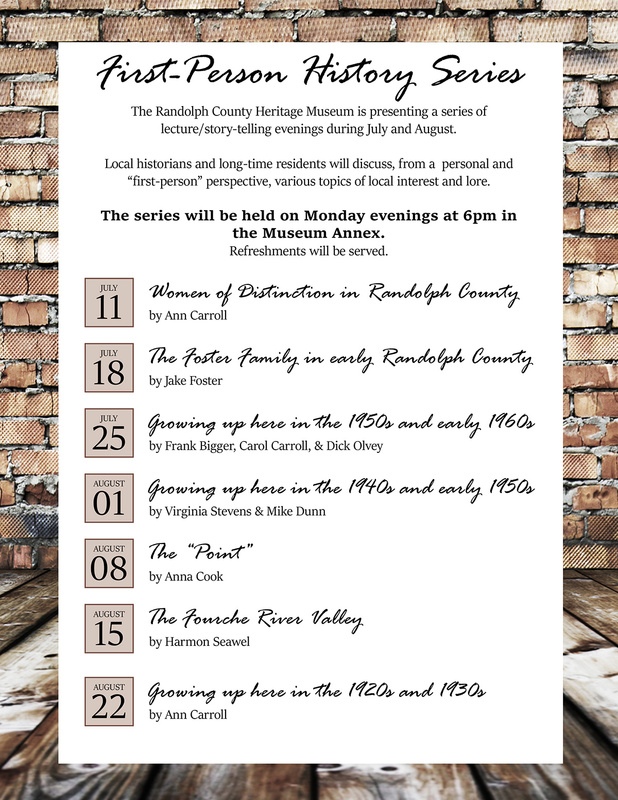 The Randolph County Heritage Museum is presenting a series of lecture/story-telling evenings during July and August. Local historians and long-time residents will discuss, from a personal and “first-person” perspective, various topics of local interest and lore. The series will be held on Monday evenings at 6pm in the Museum Annex. Refreshments will be served.